Since its premiere at this year's Sundance, "The Big Sick" has won the hearts and minds of critics, festival-goers, and industry insiders everywhere. Now the world will get to see why Kumail Nanjiani and Emily Gordon have become the toast of Hollywood, as "The Big Sick" is now playing in NY & L.A. 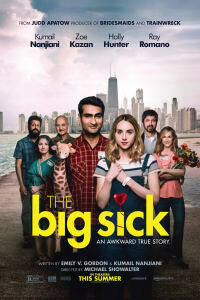 Written by Nanjiani and Gordon and directed by Michael Showalter, "The Big Sick" tells the tale of a romance based on the two writers' real-life relationship. To the shock of his traditional Pakistani family, Kumail (played by Nanjiani himself) falls in love with Emily (played by Zoe Kazan) instead of someone of his own ethnicity. Despite their disapproval, Kumail continues to pursue her, only to face a serious crisis when Emily is struck with a mysterious illness. 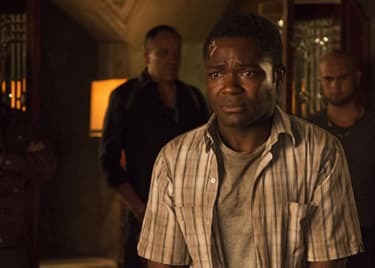 The film earned roaring ovations and triggered a bidding war at Sundance, which was won by Amazon Studios with a whopping price tag of $12 million. Critics praised Nanjiani and Kazan's chemistry onscreen and the personal touches in the film's script that made it unique. Some also noticed some elements of the film that felt similar to those found in Judd Apatow films, fitting considering Apatow was a producer on this project. "There would also seem to be a trademark Apatow shrill-lady-freakout from the big breakup scene — where not only does the budding psychologist Emily lose it entirely, but Nanjiani says to her, 'Aren't you a therapist? Shouldn't you be better at handling this? '," said TheWrap's Matt Donnelly. "It feels like a low blow that she can't be furious and good at her job at the same time, but in fairness, breaking up is hard to do. And the real-life couple, now married 10 years, laid it all bare to beautiful effect." "The Big Sick" is now playing in select L.A. and N.Y. theatres, and opens everywhere July 14.